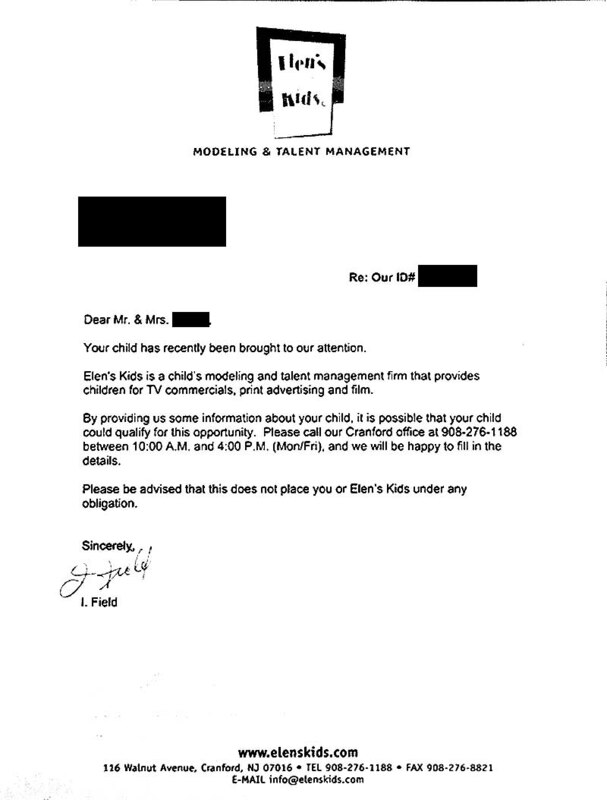 I just found your site while looking for information on these letters we got in the mail from Kids.com and Elen's Kids Modeling & Talent Managment. At no point was I seriously considering them, especially not when two nearly identical letters arrived within a week of each other. But I thought I'd check the Web to see what the scam was and sure enough, I found your pages. On one of your pages someone has posted they're still looking for copies of the letters Kids.com sends out; I have two right here, if anyone wants them. I can scan 'em and e-mail 'em (or leave them on a Website somewhere) or I can send photocopies through the actual mail, if anyone is still interested. I am unsure how to navigate your website, I found it while doing a search for the model and talent business called Elen's Kids. 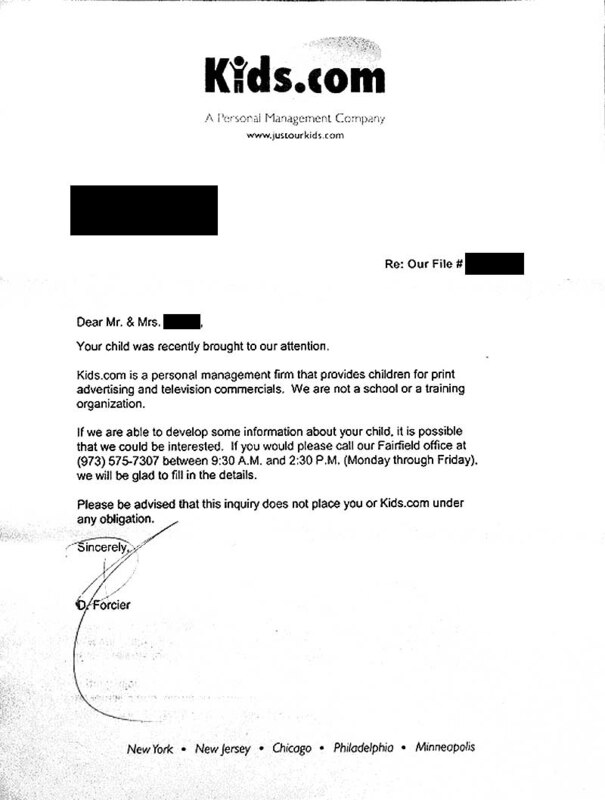 There was a letter that came up along with another letter about a company called Kids.com. I would like to find out information on Elen's Kids and unsure where to go from here. We recently met with them and they are requesting an up front fee of $599 for five years. They said it would include pictures to be taken by their photographer every six months, but we would have to pay a sitting fee of 18.00 each visit. Do you know of this company or how I should look into this to see if its legit? They are extremely similar to Kids.com. They charge advance fees, they have the same way of soliciting, the same type of introduction letter, the same length of contract, the same price, etc. You should first read everything about Kids.com. 1. Are you the same company as Kids.com? 2. If not, how are you different from Kids.com? 3. Why are you doing the same thing as Kids.com when the company it's modeling after was sued by the FTC (because they failed to get kids work, 99.1% of parents who paid them did not get a return on their investment). 4. How many kids have signed up with Elen's Kids? 5. How many kids who have signed up with Elen's Kids have received paying work through Elen's Kids? 6. How many kids who have signed up with Elen's Kids and received paying work through Elen's Kids have earned more than they paid Elen's Kids? 7. Why do you charge advance fees when it's a violation of the Talent Managers Association Code of Ethics? Note: Elen's Kids was given the opportunity on three occasions to comments but refused. The complaint against Elen's Kids's below was recently submitted to Easy Background Check, a consumer interest website which includes consumer complaints. The author asked for it to be posted. Would you like to comment on the complaint before it becomes public information or is sent to the District Attorney's office? To begin, I would like to say how much I respect your website for putting the truth out there. I . . . worked at Elen's Kids in Cranford, NJ . 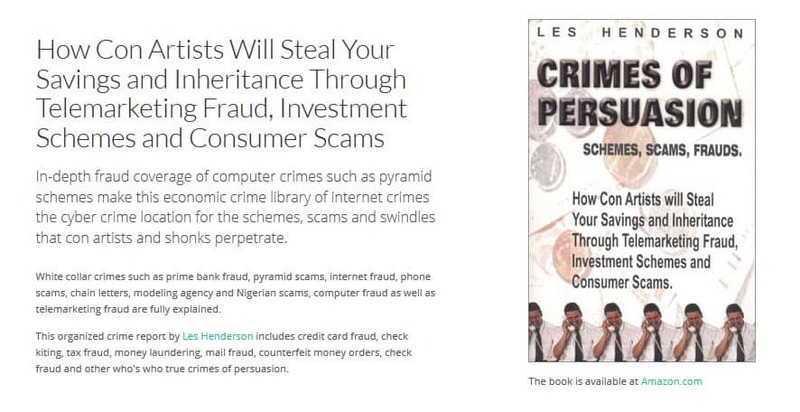 . . As your website describes, this business is a complete scam, with the two owners, Elen and Irving Field, only interesting in getting money from families. Of about 3500 kids signed up to this so-called "management firm", (all of which paid the $599 contract fee), maybe 10 children received regular work. Of course, the contract states that paying the fee does not guarantee that the children will get work, so when the parents call angry that they signed up 18 months ago and have not received so much as a call from the company, we pretty much said "Oh well!" and hung up the phone. I hope you continue to educate parents on the topic of modeling scams and use my account to steer people clear away from Elen's Kids!